Pay Off Your Outstanding Property Taxes in Corpus Christi in As Little As 3 Days! Can Direct Tax Loan assist me in paying off my overdue property taxes in Corpus Christi, Texas? At Direct Tax Loan, we aim to help people pay off overdue property taxes in the most affordable way possible. We will work with you to coordinate a manageable monthly payment plan, that will work best with your financial situation. You must be the property owner and have proof of ownership. Your property taxes must be overdue. You cannot be in bankruptcy at the time of the application. How much will a property tax loan in Corpus Christi, Texas cost me through Direct Tax Loan? There is no application fee to apply for a property tax loan through Direct Tax Loan. We will provide you with an estimate of your loan repayment, at absolutely no cost to you. At Direct Tax Loan, our goal is to help borrowers pay off their delinquent property taxes in the most affordable and stress-free manner. We do not require a down payment, nor any out of pocket or up-front expenses. In addition to your loan payments, there are some costs related to loan closure and interest rates, that are regulated by the Texas Office of Consumer Credit Commissioner (OCCC). These costs will be included in the final amount of your loan, and paid off through your regular monthly payments. How long will it take to get my property tax loan from Direct Tax Loan? Direct Tax Loan has a very quick turnaround period in order to get your overdue property taxes paid, and to prevent more interest and charges from accruing. Loan pre-approval is usually completed within 24 to 48 hours. Once pre-approved, the application can be completed and submitted for final review. The final review and final approval is usually done within 72 hours. The longer you wait to pay off your property tax bill, the more it will cost you. Unpaid property tax bills begin accruing fees on February 1st and the interest percentages increase by 1% each month. After June 30th, there is an additional 20% fee added on top of the 20% interest rate. You could even face a lawsuit or possible foreclosure. Contact Direct Tax Loan soon! We will have your property tax bill paid off quickly, and will save you tons of money from government-imposed fees. We have a team of professional advisors that are devoted to helping you find a way to pay off your loan. A property tax loan is not necessarily the best resolution for all property owners who are overdue on their taxes. As an example, property owners that are disabled, or over 65 years old, may qualify for a tax deferral. Our professional tax advisors are passionate about finding the option that is best for you. Direct Tax Loan staff can help you to weigh all of your options for paying off your property tax loans and help you to have a better financial future. In order to help you pay off your delinquent property taxes, Direct Tax Loan will make a direct payment to the Harris County Tax Department. The tax department will then transfer a lien on your property to Direct Tax Loan. This lien will serve as security for your property tax loan and will be relinquished once you have paid off the loan. Direct Tax Loan is not a “Loan to Own” company and has no desire to foreclose on your property. We will do our best to create an affordable monthly payment plan to meet your needs, so that you can pay off your property tax loan. By taking out a property tax loan, you can save yourself from hundreds of dollars in extra expenses related to increasing interest rates and fees on your delinquent property taxes. Direct Tax Loan will work with you to coordinate low monthly payments to pay off your property tax loan in order to avoid excess fees, an expensive lawsuit, or even foreclosure. Furthermore, Direct Tax Loan does not require a down payment and will not check your credit score. We want to relieve your stress and make paying off your property tax debt as simple as possible. Direct Tax Loan is proud to state that we service all of our property tax loans. While many tax loan companies offer you the loan, and then connect you with another company to answer your questions, you will be communicating directly with us. With Direct Tax Loan, you will never have to worry about speaking to a different person each time you call, nor trying to get help from someone who is not well informed on your situation. All of your information is safely stored in our system. Our professional tax advisors are up to date on all accounts. They are fully prepared to help you resolve problems and answer your questions related to your property tax loan. Direct Tax Loan will customize a loan repayment plan to best fit your financial needs. We aim to help property owners pay off delinquent property taxes in the simplest way possible. You can even choose which day of the month you want to be charged for your property tax loan payments. If you need a property tax loan, you can contact us online, through email (info@directtaxloan.com), or by phone ((866) 723-0321). We will give you an estimate for your property tax loan at absolutely no cost to you. Direct Tax Loan will never run your credit. Along with this, taking out a property tax loan will not affect your credit rating. The lien on your property means we have no reason to, because your loan is already secured. You can even qualify for a property tax loan with a history of bankruptcy, as long as you are not currently in bankruptcy. Direct Tax Loan will structure loan payments in a way that best fits your financial situation. An unclear title can prevent a property from being sold or a property owner from qualifying for a property tax loan. Previous owner dies without having a legal will. The deed to the property is invalid. Incorrect filing of ownership paperwork. Other issues related to split ownership or transfer of ownership. Whatever your situation is, Direct Tax Loan will help you to figure out what to do and how to clear your property title. We are devoted to helping people pay off their delinquent property taxes and to improve their financial stability. Direct Tax Loan will not charge you any out of pocket or up-front expenses. All fees are regulated by the Texas Office of Consumer Credit Commissioner (OCCC) and will be included within your property tax loan. In order to see if you qualify for a property tax, through Direct Tax Loan, you can fill out an application at no cost, and we will provide you with a free estimate towards paying off your overdue property taxes. At Direct Tax Loan, pre-approval for property tax loans are usually completed within 24 to 48 hours of submitting an application. After this, the final review and approval usually takes only 72 hours. Direct Tax Loan has a quick turnaround on property tax loan applications in order to help people pay off their overdue property taxes fast. The earlier you contact us by applying online, emailing us at info@directtaxloan.com, or calling us at (866) 723-0321, the faster we can have your property tax bills paid. Property tax is a tax liability that property owners need to settle as soon as possible. This type of tax is typically levied at a city, municipality or county level. Many people in Corpus Christi TX have trouble paying their tax bills. It is not their wish to stop paying taxes. Some of them started experiencing financial problems the moment they acquired their properties. Whatever happens, you shouldn’t stop paying your property tax bills. If you fail to pay your property tax bills when they are due, the county government will start charging fines and other monetary penalties on your tax account. This means that your total tax debt will begin to increase steadily every month. Direct Tax Loan can give you a quick loan to help you clear your property tax debt and avoid potential county fines, accruals, penalties and tax liens. You can then pay us back through a manageable loan payment plan. Our property tax lender is among the best in Corpus Christi, because we have a simple online application, quick processing and approval, and offer affordable property tax payment plan. Feel Free to get in touch for more information. Rio Tax offers affordable property tax loans for residents of Corpus Christi and surrounding areas. We are one of the largest companies in Texas. We understand that dealing with property taxes can be an expensive and complicated process. 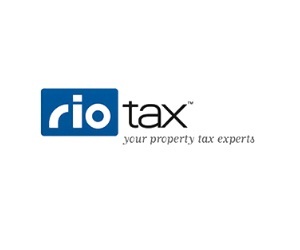 Rio Tax will smooth out this process and find the property tax loan that’s right for you! We offer flexible payment plans as well as a simplified application process. If you’re concerned about the possibility of having to pay higher interest rates or foreclosure don’t wait until it is too late to do anything about it. Let us help you. Call today! Many of us are faced with unexpected expenses. Finding a way to come up with the money to pay for urgent matters can be stressful. Luckily, Sun Loan is here to assist you during these hard times. We offer some of the best and most affordable property tax loans in Texas, including tax lien loans. Getting a loan through a property tax loan company is generally cheaper, less complicated and faster than going to the bank. 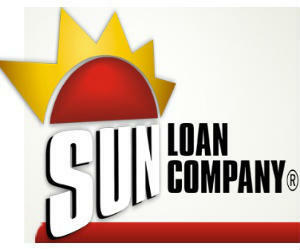 Your financial health is important and that’s why Sun Loan believes in being there for you. Don’t hesitate. Call us today! We provide the best customer service and believe in being loyal to you. Shopping around for the best property tax loan can be a strenuous affair. 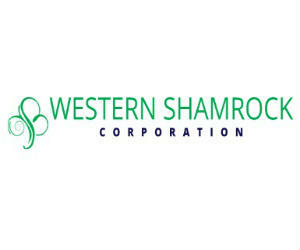 Depending on your needs, Western Shamrock offers a wide range of loans, all at fair and competitive prices. We also have credit starter loans, tax preparation services and tax lien loans. Western Shamrock started in 1965 and we are one of the oldest and prominent property tax lenders in Corpus Christi. Wanting to get a loan? It’s never been easier when you go with Western Shamrock. Get the process started today by going online and filling out an application form. Afterward, come into our office to complete the process. 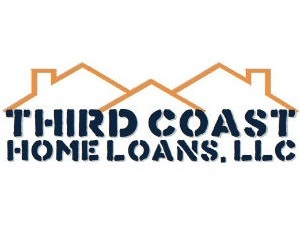 Third Coast is a property loan lender company specializing in financing for taxes, mortgagee and construction. We offer the most straightforward and reasonable solutions to assist you. There are no long waits to get approved. We get right to the point. We maintain a commitment to quality loans and make the process as fast and efficient as we can for you, our busy customer. To learn about your lending options, please contact us and we will be glad to assist you. Property taxes rise each year. Sometimes, you just don’t have the funds to make those payments on time. Don’t fret about it. Let us do the heavy work for you. 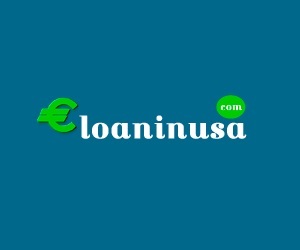 LoaninUSA is a property tax loan service dedicated to connecting customers like you with short-term lenders. To initiate the process, all you need to do is fill out a simple online form with pertinent information we need to connect you to a lender. Upon going through the details of your loan agreement, you can pick up your cash. When repaying your loan, you have the option of doing so online by a schedule date. You only repay the amount plus applicable fess and interest. You will not find a better deal in town. Let’s talk. We’re happy to hear from you.